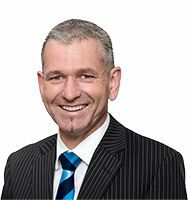 Peter Griffioen - or simply Griff to those who know him - has an established reputation as a top-producing Harcourts Canterbury salesperson. With an uncompromised approach to customer service you can rest assured that you are in good hands, whether it be a relaxed chat about the state of the market or an in-depth discussion re your next property transaction. The key advantage of engaging Griff’s services is his local knowledge and experience. Currently in this post-seismic era, it is vital to have true professionals working on your behalf, ensuring that you are guided through the process professionally and with a caring approach. For close to 30 years the Griff brand has become synonymous with achieving results. His proven track record places him with the highest ranking Harcourts Million Dollar Club members, exceeding the $325m level. Such accomplishments highlight his exceptional marketing and negotiating skills. With total professionalism; whether it’s creating a personalised marketing plan for your home or negotiating the final selling price, Griff and his skilled team have it covered, ensuring a streamlined and hassle free service. Griff’s life focus extends beyond business, with quality family time and fun being high priorities, while mountain biking, boating and fishing provide that vital time out. His Christian faith is his anchor for daily living, and his community interests extend to supporting local schools and sports groups. To optimize the result for your next property transaction, be sure to engage the services of this true professional team, being assured that the right choice will leave you a whole lot better off. Today Griff offers you the opportunity to share in his consistent success and welcomes your enquiry. As Is, Where Is - Renovator! This Standout Stunner Must Go! Refurbished from Head to Toe! Final Unit - 5 SOLD! Brand New - The Keys Await!